"HACCP Regulations: How does your company comply?" Free White Paper: "HACCP Regulations: How does your company comply?" 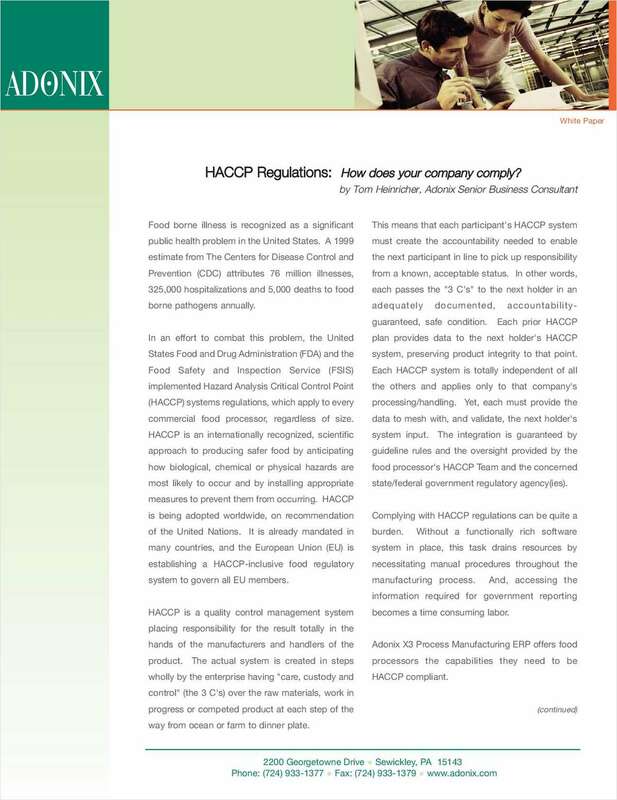 Learn how Adonix X3 Process Manufacturing ERP offers food processors the capabilities they need to be HACCP compliant. By submitting this content request, I have legitimate interest in the content and agree that Trivalent Solutions, their partners, and the creators of any other content I have selected may contact me regarding news, products, and services that may be of interest to me.